Using a craft knife, carefully make a cut through all the paper layers. 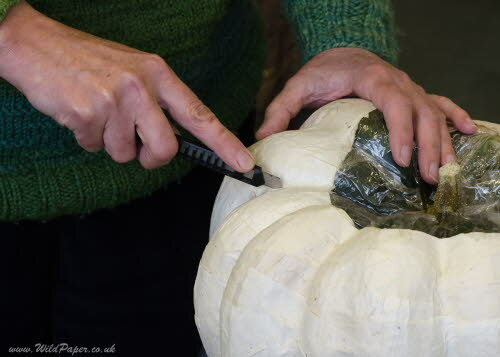 Cut from the top towards the bottom of the pumpkin, but leave the bottom uncut. Repeat this cut with further cuts each about 10 cm apart.